An Update on Emerald Park's Retail Spaces - Bazis Inc.
Big news! We’ve got an update on the retail spaces and amenities at Emerald Park, our project at Yonge and Sheppard. Residents of the Rosario Varacalli-designed building will have access to an LCBO, Metro and a Starbucks – in addition to a full food-court! There’s still room for more businesses, so we’ll keep you posted on that, but let’s get back to what we have so far. Our food court is going to be on the ground level rather than under the development, like so many other complexes. There’s also a set of twin escalators being installed on the same level which will lead up to a Metro grocery store on the second floor. It’s not just any Metro though – the Emerald Park Metro will be directly connected to the LCBO. There will be separate check-out counters but they’ll both be housed under the same large open space. The Starbucks will also be on the second-floor. We’ve mentioned it before and we’ll say it again: transit is important to us because we know how important it is to our residents to be connected. Easy access to transit means happier residents, which is why we will have direct underground TTC access through our podium to not one, but two subway lines. We’re also really focused on making sure that Emerald Park is more than just another residential building – we want to be an asset to the community. Our retail amenities and TTC connection will be available to our residents as well as local pedestrians. Building the amenities above ground will grant everyone easy access to these areas. There’s still work to be done at Emerald Park. We’re continuing to make progress on the third-floor office spaces and working through the residential amenities and units. We’ll keep you posted on our progress. 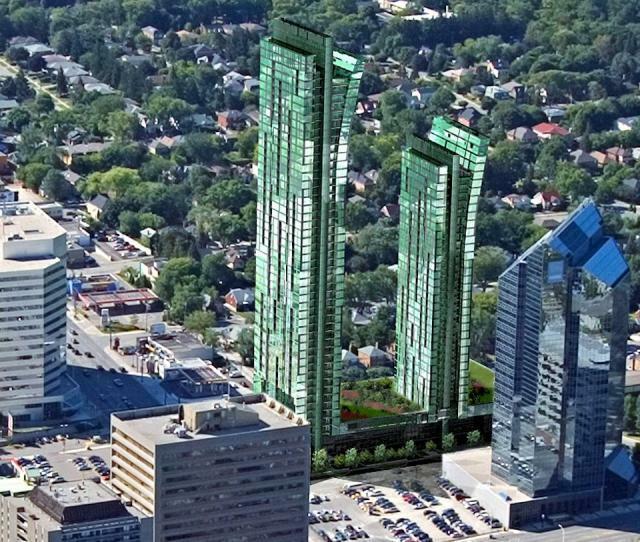 Yonge and Sheppard is changing and we’re glad to be a part of the process! If you’re a business owner, we still have a few offices available and now would be the perfect opportunity to set up shop in a fast-growing neighbourhood. Contact us.